If you’re a 90’s kid or the 2K kid then you might have played only the cricket games from the big companies like EA Sports and Codemasters. 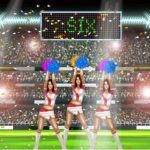 For most of the people, Brian Lara Cricket and EA Cricket 97 were the first cricket video games they’ve ever played. 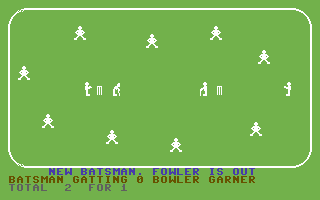 However, you would be surprised to know that they were not the first cricket video games. Even the Allan Border or Graham Gooch Cricket were not the first ones. 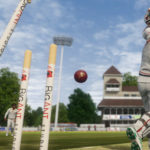 Cricket 64 allows you to interact with a game of cricket between England and the West Indies in a limited overs match. Before you start the match you can change the players names of each team and decide who bats and bowls first, before you then select a bowler. The match itself is shown on the whole screen from above at an elevated angle and your final adjustment if choosen to is to move the fielders. Once you are happy with your selection the game begins. You watch the bowler approach the wicket before bowling the ball and then you watch the batsman either hit the ball, miss the ball, get out for LBW or the wicket being hit. If the batsman hits the ball you watch the ball move until it stops. The fielder nearest to the ball is highlighted and you then decide whether to run or not. If you choose to run then the ball is thrown as both batsman run to the opposite end of the wicket. Once they reach the other end without getting out, the balls stops and you decide whether to run again. if you decide not to run then the bowler gets the ball and he approaches the wicket once more. At the end of an over you can decide whether to see the scorecard and you select the next bowler. Unfortunately, it would be very difficult for you to find the console/game now. The only possible way is to find a ROM and play it using an emulator. 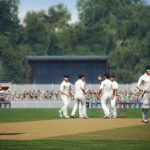 Well, we still have Don Bradman Cricket 17 with us. Special thanks to Edubirdie who are our content research partners. 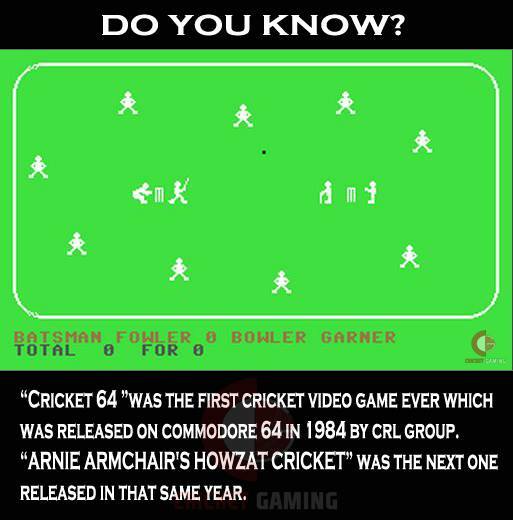 Let us know in the comments what you remember about the first cricket video game you played.